You’ve probably been told time and time again that Facebook is the #1 platform on social media. That’s why you’re here – you’re looking for ways to help your business find success and drive sales through Facebook. 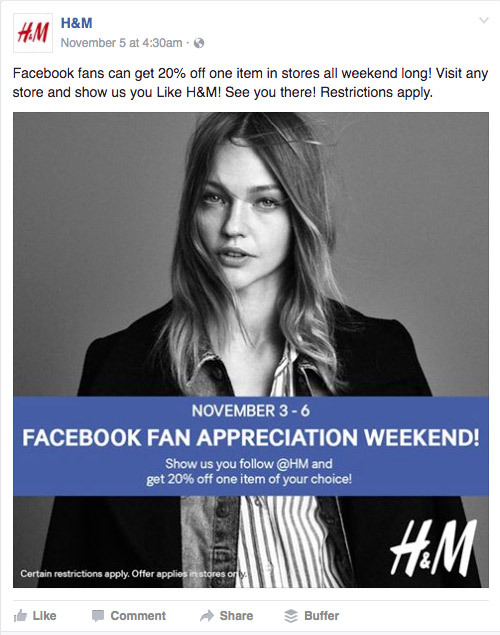 You’ve got one question: how do you promote on Facebook? In this article, I’ll answer that question using 20 ideas, tips and examples that will arm you with everything you need to promote on Facebook. One great thing about having a Facebook page for your business is the ability to direct traffic from social media to your website or e-commerce store, so you can turn Facebook fans into customers and sales. Facebook gives you the option of you a few different CTAs for your page, so use the one that fits your business objectives the best. It’s a big, blue button anchored to the top of your page – and that’s prime real estate that can help you get results from your social strategy. Your cover photo occupies an incredibly important portion of your page, as it lies front and center. Many brands will use this portion for a simple, branded graphic, and it’s an area that’s often underutilized for promoting. 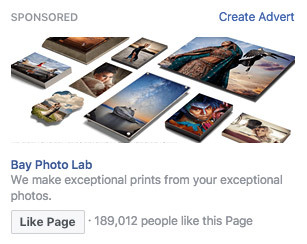 Using your cover photo to draw attention to a promotion or discount you’re running for your business is a great way to maximize that space and drive results. Create an eye-catching graphic (so people will click on it) and then add a link in the photo description that directs people to the appropriate page. Let’s get this straight: Facebook doesn’t do your business any favors when it comes to driving organic reach on the platform. That means you need to do everything you can to maximize engagement for the promotional posts you create. One easy way to do this is by optimizing post timing. 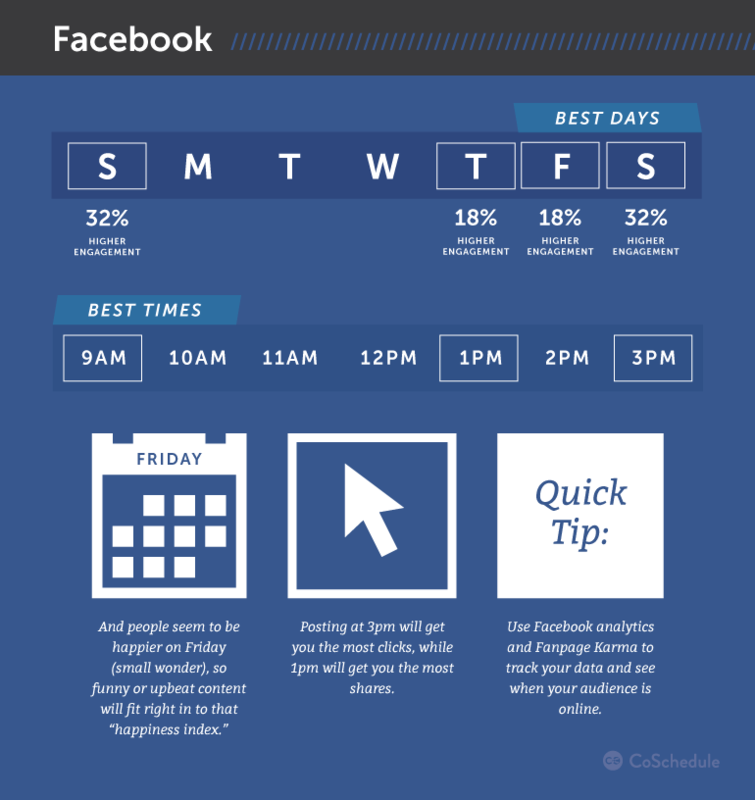 As you can see from the infographic above (thanks CoSchedule), data shows there are some generic “best times” to post. When it comes to your business, however, consider your specific target market – when do they check Facebook? What does their day look like? These questions will help you get more results when you promote on Facebook. Sometimes, you need to pay to play. 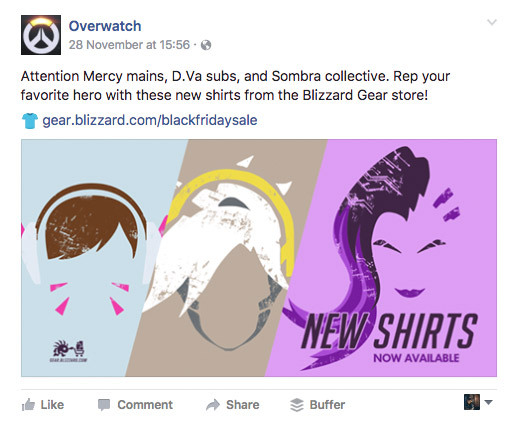 I mean, this article is called Promoting on Facebook. Your promotional content could be ridiculously effective, but if it’s not reaching anyone, you’ll have trouble seeing returns. On top of this, promoting your posts allows you to target them more directly, and at people who may not be currently following you. This means you can deliver relevant posts right to people who will react well to them, maximizing your Facebook promotion efforts. This is a method that’s even more aggressive in promotion than post promotion – and it’s an effective one. Running ad campaigns for new products or services is arguably the best way to promote your business on Facebook. The downside to this strategy, of course, is that ads can get expensive. If you’re tracking your ads and analytics closely, however, you’ll be able to monitor performance and see if Facebook Ads are right for your business. 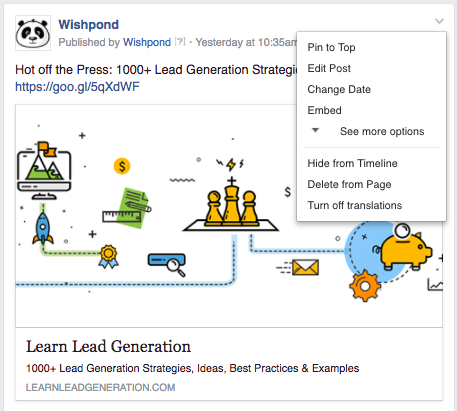 To get everything you can possibly need about Facebook advertising (including keeping costs down and results up) check out Wishpond’s free Ultimate Guide to Facebook Ads. 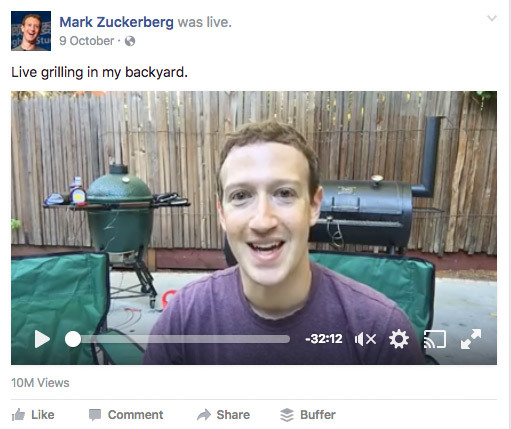 Facebook Live is a new, great way to interact and engage with your Facebook fans and followers. New content types like Live get a pretty big boost on followers’ News Feeds, increasing the chances they’ll see it – meaning you have a much better chance to reach them with your promotional efforts. 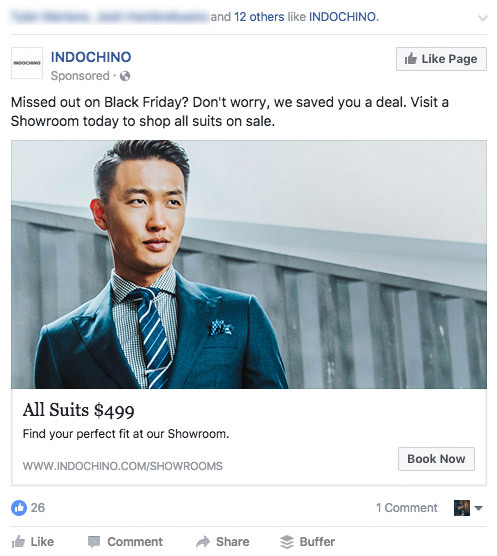 There’s no shame in linking products on your Facebook page. When it comes down to it, most of your followers Like your page because they’re at least somewhat interested in your business and what it can offer them. People who aren’t already customers are primed for sales – they just need to be given the opportunity. Creating great graphics to go with your promotional posts makes them more exciting and gives people something interesting to look at. This helps them determine whether or not they’re going to click through. And that’s not to mention that Facebook posts with images see 230% more engagement than posts without images. Social media is a window into your business – it doesn’t always need to be perfectly polished. Creating content that takes your page visitors behind the scenes shows them what your brand is all about, helping to create a connection that’s more than just “I saw your products once”. Behind-the-scenes content can be anything – photos or videos in your office, an inside look at a company retreat, or an insight into the making of your latest product. Product-related behind-the-scenes content is great, because you can always direct viewers to a product page. Work with an influencer that’s prominent in your industry to create posts that you can share on both of your Facebook pages. Influencers are unique in their ability to reach members of your target market because they feel more real – more accessible. 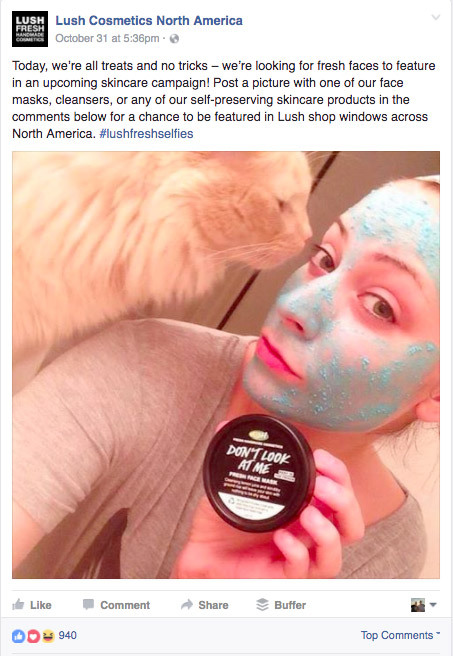 The photo should feature the influencer using one of your products, with a short blurb about why they enjoy it. Give them a discount code to make it easier for them to urge their followers to buy your products. 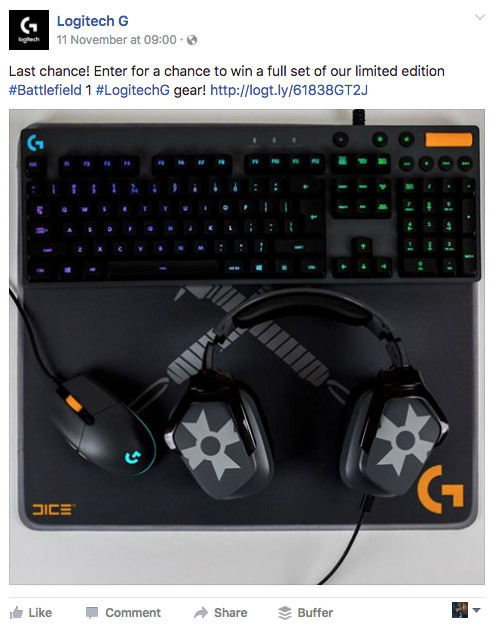 Running a contest is one of the best ways to promote on Facebook. It’s engaging for current followers, and can go a long way towards helping you reach people in your target market that you’re not currently in contact with. Use a third party app (like Wishpond) to build a contest, which you can host right on a tab of your Facebook page. 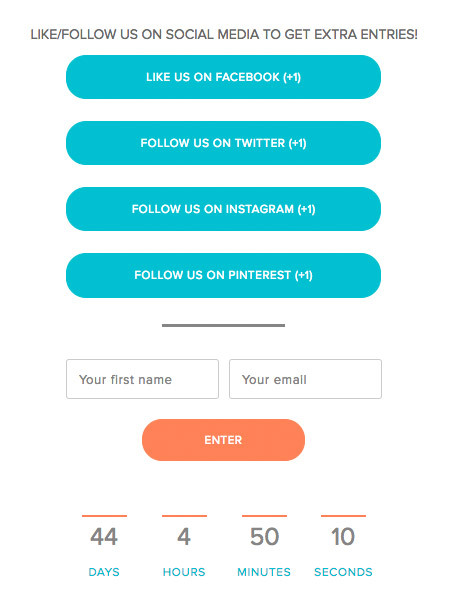 This allows you to collect contact information from your entrants – meaning you can use email marketing to turn them into sales in the future. Something we’ve found with a ton of our campaigns is that post-entry is one of the best times to convince your contest entrants to engage with you on social media. Sweeten the deal by offering extra contest entries in exchange for social actions like sharing the contest or liking your page. This helps promote your contest to your entrants’ friends, meaning you’ve got a larger chance of reaching members in your target market. It’s an awesome way to generate (mostly) organic social engagement. Offering special promotions on Facebook is a great, direct way to promote on Facebook. Create an image with a discount code (“Get 20% off until May 10th with the code SPRING2017!”), and link straight to your store’s website from the post. Creating a limited-time discount jolts page followers out of indifference – they need to act now before they miss the offer. Don’t go overboard and offer discounts all the time, as people will start to realize they can just wait for the next one. Facebook is kind of like Yelp-lite. Though more people still use Yelp as a place to find reviews about a certain business, your Facebook page is still an important first point of contact for potential customers. 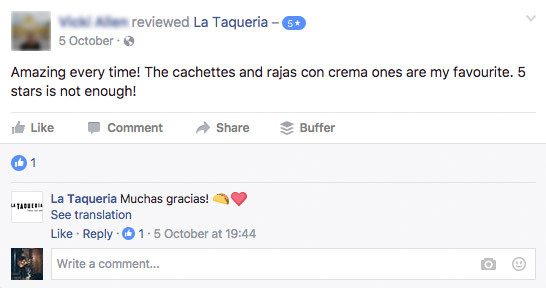 Collecting reviews from happy customers (and responding to unhappy reviewers) is one of the best ways your business can establish credibility to potential customers. It creates social proof, helping to make the purchase decision process much easier for your Facebook fans. Sometimes, you can bring your sales funnel to your page visitors. 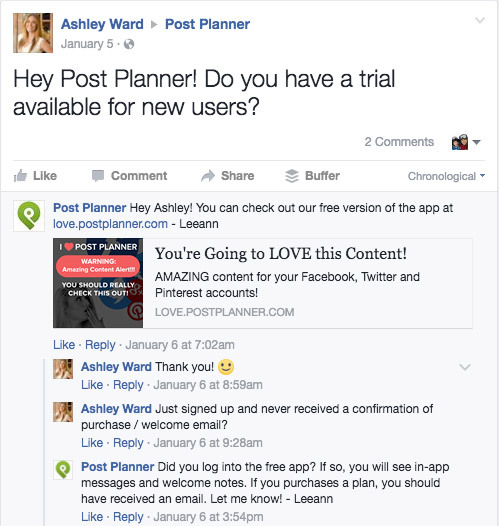 Giving your social media manager the training (and permission!) to make sales right on your Facebook page can be a huge tool to help you promote your products. 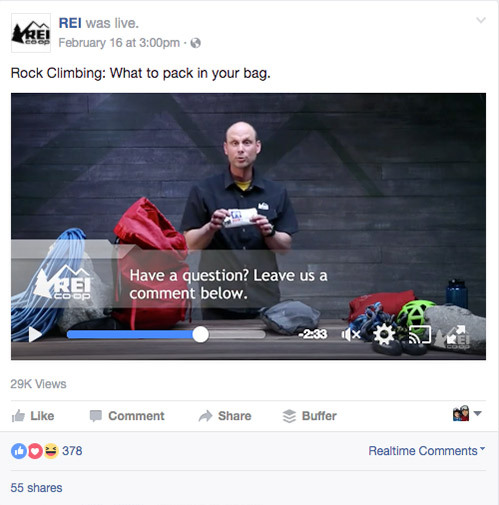 Often, people will come to a company’s Facebook page with questions they need answered before they make a purchase decision. Answering their question and directing them to a bottom-of-funnel page (like a product or pricing page) can be all you need to make that sale. 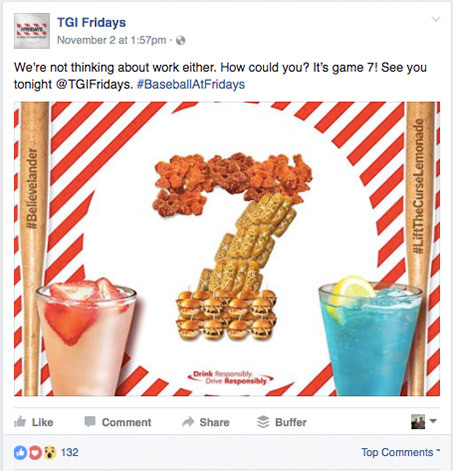 Simply creating a promotional post on your Facebook page can be ineffective – these types of posts tend to look like thoughtless ads when they’re the only thing you’re posting. An alternative to this is to educate your potential users on the benefits of your products. Teaching people about your product helps bridge the gap from awareness to desire. It’s a tried-and-true Facebook promotion strategy that does more legwork when you’re looking to turn fans into sales. 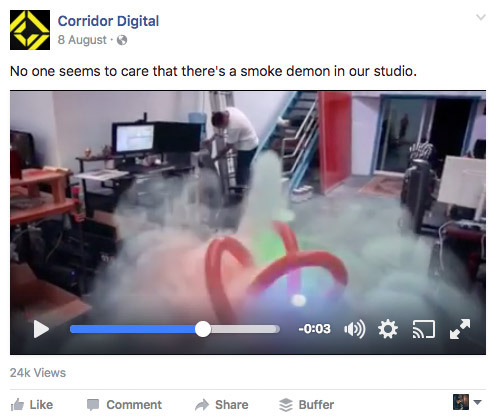 User-generated content is another tried-and-true social media staple. Featuring photos of happy users with your product is a nice break from the polished, branded content many people post. 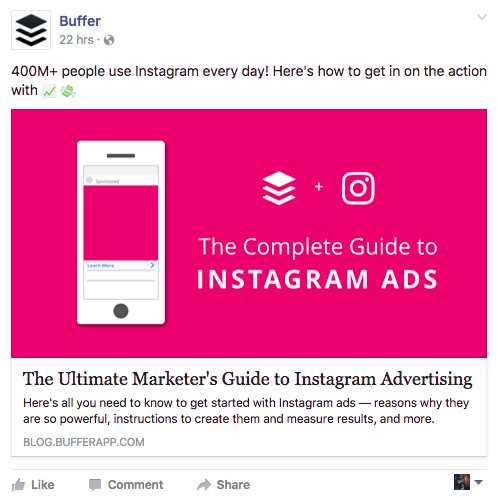 Giving your Facebook followers the spotlight is a great way to give back to your users, while still promoting your product. This works because it creates social proof, acting much like a testimonial. Other potential customers see others like them enjoying the product, so they feel like they might like it too. Posting about trending topics is one of the best ways to engage with your Facebook following. Creating content that’s top-of-mind helps it resonate better with the people who see it. It shows that your business is in tune with what’s going in the world around you, taking it out of the promotional bubble many businesses are in when they’re on social. Make sure these trending topics relate in some way to your industry, like you can see in the example above. A marketing software company posting about the new Ed Sheeran album probably isn’t the best fit. All marketers should know this: social media is a two-way street. It’s not simply a platform for businesses to promote themselves – it’s a place to engage and interact with real people to create genuine connections for your brand. This rule follows on Facebook. 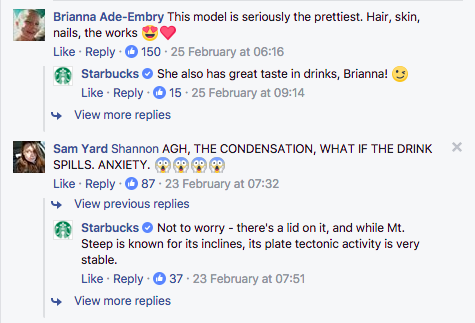 Respond to the people commenting on your content – for example a commenter saying “I want this!” on a photo of your product could be met with a “So glad you like it! If you’re interested, grab your own here!” with a link to your website. 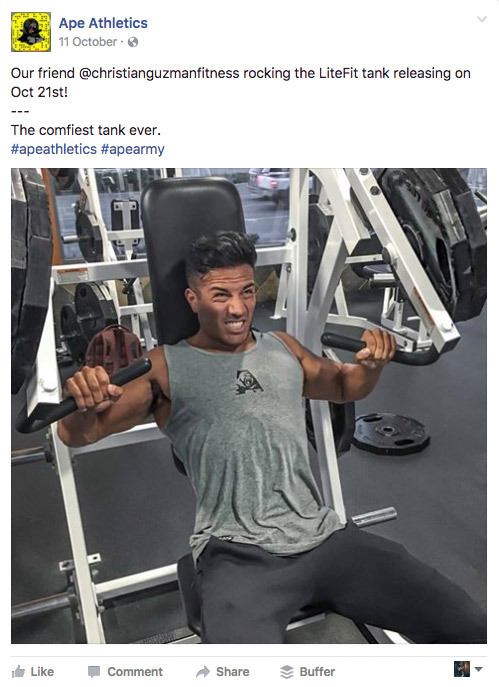 Facebook allows you to “pin” a post to the top of your page. This allows you to maximize exposure for a campaign or promotion you’re trying to highlight, making sure each visitor that checks your business profile sees it. This is a great way to generate leads – pin your contest to the top of your page so first-time visitors see it. Even if they don’t like your page, they could enter your contest – and that means you have another lead to market to through email. Oftentimes, you need to spend a little more time nurturing the leads you generate into sales. One way to this is to use Facebook as part of your content marketing strategy, posting content from your blog or other content channels like YouTube on your page. If people enjoy your content, there’s a big chance they’ll subscribe to your list. This means you’ve got additional chances to market to them through email and nurture them into paying customers. Hopefully, this article has given you some new ideas on how you can market your business on Facebook. Social can be a tough platform to crack, but these tips will help you stay better-armed when it comes to finding Facebook success. This article originally appeared in Wishpond Blog. This article was written by Carlo Pacis from Business2Community and was legally licensed through the NewsCred publisher network. Please direct all licensing questions to legal@newscred.com. TECH TUESDAY: Adobe Flash is dead, long live Adobe Flash.